Gill Juleff is an archaeo-metallurgist specialising in early ferrous technology (the archaeology of iron). Gill combines field investigation with laboratory-based analysis to examine early technological development within its social and environmental context. Her main research areas are in Sri Lanka and India where she is engaged in two research projects, Monsoon Steel and Pioneering Metallurgy. Further afield, Gill’s research encompasses early iron production across South and Southeast Asia. In England, Gill has directed the Exmoor Iron project for a number of years, which is examining early iron production on Exmoor. At Exeter Gill teaches the artefacts module, archaeometallurgy, experimental archaeology and the archaeology of South Asia and the Indian Ocean. My current research interests extend from Asia and the Indian Ocean to Southwest Britain and are underpinned by the thesis that metallurgy and the possession of metallurgical knowhow is one of the central drivers of cultural change and that understanding the development of metallurgy is a route to elucidating complex social dynamics. Exmoor Iron is a multi-disciplinary, multi-period, multi-site exploration of the impact of past iron production on the environmental and cultural landscapes of Exmoor. The fieldwork component of the project took place between 2002 and 2006 and was funded by English Heritage and was run in partnership with Exmoor National Park Authority (http://www.exmoor-nationalpark.gov.uk/) and the National Trust at Holnicote (http://www.nationaltrust.org.uk/holnicote-estate/ ). Excavations took place on four large iron smelting sites, a mining site and a woodland charcoal-burning platform. The sites span from the late Iron Age/Romano-British period to the post-medieval and witness a continuum in exploitation of high-grade local iron ores, which extends into the 19th and early 20th centuries. The annual fieldwork seasons are described in a series of newsletters (see examples here and here). Fieldwork is now complete and the project is in its analysis and interpretation phase. One of the sites excavated during fieldwork for Exmoor Iron was the multi-period iron ore mining site known as Roman Lode. High on open moorland above Simonsbath, the site comprises an openwork trench extending over 600m. An RCHME earthwork survey of the trench and spoil dumps lining either side revealed an area of small ‘hummock and hollow’ terrain at one extreme of the trench. Geophysical survey and small-scale excavation by Exmoor Iron uncovered evidence for shallow pit mining. Unexpectedly, charcoal from a small burnt hearth feature stratigraphically below the mining pits gave radiocarbon dates in the Early Bronze Age. A first paper on these interesting discoveries by myself and fellow Exmoor Iron researcher, Lee Bray, discusses the possibility that Roman Lode was exploited for copper long before if became an iron mine. Using data from my original Sri Lankan research in the 1990’s I have collaborated with colleagues in the Engineering department at Exeter to explore the novel application of CFD to archaeometallurgy. In a first paper on the subject in JAS we used CFD to model the airflows and pressures through our experimental monsoon wind-powered furnaces. Our experience suggests the CFD has significant potential as a tool to help model and understand ancient pyrotechnologies. My long term research involvement in the development of ferrous metallurgy in Sri Lanka and South Asia continues through collaborative projects with international institutions and colleagues. From its origins as the Samanalawewa Archaeological Project in the late 1980’s, Monsoon Steel continues to act as an umbrella under which a number of different research and related activities have taken place. Funding from the Exeter’s Annual Fund has enabled two seasons of fieldwork in Sri Lanka in 2007 and 2008. In 2007 a further series of experimental smelts was carried out to consolidate and extend the original fieldwork of the 1990’s, first published as a cover article in the journal Nature. The Exeter student team that travelled to Sri Lanka included undergraduates from both the archaeology and engineering departments. As a result of the success of the 2007 experiments a further student team visited Sri Lanka in 2008 to construct a permanent museum display based on the project at the Martin Wickramasinghe Folk Museum at Koggala, on the south coast of the island. Mrs Rupa Wickramasinghe, daughter of Martin Wickramasinghe, Sri Lanka’s leading early 20th century writer, had previously, unbeknownst to me, produced an illustrated comic book for children telling the story of my discoveries in Sri Lanka and it was at the eventual meeting with Rupa that the idea for a life-size reconstruction of the furnace with explanatory display posters in English, Sinhala and Tamil was born. In 2013, in collaboration with Dr Premala Sivaprakasapillai Sivasegaram and the Institution of Engineers of Sri Lanka (http://www.iesl.lk/), a further full-scale model of a wind-powered furnace with an accompanying animated video was put on permanent display in the National Museum in Colombo. This wind-powered smelting technology is one of five examples of ancient Sri Lankan technology selected for a new gallery on the engineering heritage of the island. Also in 2013, a further series of experimental smelts were conducted in collaboration with the IESL and sponsored by Colombo Dockyard Plc (http://www.cdl.lk/). The aim of the new smelts was to demonstrate the technology for local engineers, metallurgists and technologists. The long range transmission of the Sri Lankan technological traditions of iron smelting and steel-making, in particular the development of linear furnaces, is now the focus of a new phase of research. Potential but hitherto unrecognised connections between Sri Lanka, Burma, Cambodia, Sarawak and, most significantly, Japan, have been identified in a paper in World Archaeology. Careful analysis and interpretation of the evidence has indicated strong similarities between the wind-powered furnaces of Sri Lanka and the world famous tatara furnace of Japan, in which the steel for Samurai swords was made. The models for possible transmission of technology across Asia have been well received in Asia and new collaborations with colleagues in Japan have been forged following a visit there to present my results to the Iron and Steel Institute of Japan and to meet the last practising tatara-master. In 2008 I was awarded a UKIERI (UK India Education and Research Initiative) grant for a new research project in collaboration with colleagues at the National Institute of Advanced Studies (NIAS) in Bangalore. This aim of the project is to investigate the field evidence for early iron and steel production in southern India. It takes its methodological approach from my fieldwork in Sri Lanka and will extend the research to lab-based metallurgical analysis of artefacts and materials associated with production. Field survey began in early 2010 and concentrated on the four districts that make up Northern Telangana, which was then within the state of Andhra Pradesh but is now part of the new state of Telangana. This area is known for its large numbers of both iron smelting and crucible steel-making sites. Crucible steel is often better known as wootz steel and is the steel of Indian and Early Islamic weapons. An interim report on the survey has been published and research in the area continues through funding support from the Stein Arnold Exploration Fund and an ICHR (Indian Council for Historical Research) grant for my collaborators Dr Smriti Haricharan and Dr S Jaikishan. The work is aso continuing through the Exeter-NIAS PhD projects of Brice Girbal and Tathagata Neogi. In recent years I have developed research collaboration with a wide range of scholars and institutions in the UK and in Asia. My work on Monsoon Steel has resulted in interesting cross-disciplinary collaboration with specialists in fluid dynamics (Exeter) and engineering (Institution of Engineers Sri Lanka) and power generation (Ceylon Electricity Board) as well archaeologists in Sri Lanka (Archaeological Survey Department of Sri Lanka and the University of Kelaniya). In India I collaborate with colleagues at the National Institute of Advanced Studies in Bangalore, including Professor Sharada Srinivasan, Dr Smriti Haricharan and Dr S. Jaikishan. Further afield my work on the linear furnaces of Asia has helped to build collaboration with colleagues in Japan, in particular Professor Nagata of Tokyo University of the Arts and Professor Murakami of the Research Centre for Ancient East Asian Iron Culture, Ehime University. In the UK I work closely with Dr Chris Carey (Brighton University) and Dr Lee Bray (Exmoor National Park Authority) on research related to Exmoor. Fieldwork is at the heart of archaeology and, like all archaeologists, I enjoy getting out into the field to gather new data. This may be through surveys and excavations, or through experimental work. My more recent fieldwork has been focussed on India and Sri Lanka. Generally, if funding allows, I prefer to take students with me whether they are from Exeter or from the country I am working in. In the summer (monsoon season) of 2007 I conducted a series of experimental smelts in Sri Lanka. The aim was to extend our knowledge of how the wind-powered furnaces of Samanalawewa functioned and to gather new data on temperatures and air flow regimes. The furnaces were built on the same archaeological iron smelting site that was used for the original 1994 smelts. The site is situated on a west-facing hilltop in the southern foothills of the Central Highlands. In the course of the work we also conducted further reconnaissance survey walks in hills to the east of Samanalawewa to examine the long range continuation of site distribution patterns observed in the core area. In 2010, with the UKIERI Pioneering Metallurgy project, I led a six-week archaeological survey in Northern Telangana in what was Andhra Pradesh but is now part of the new state of Telangana. The aim of the survey was to locate, record and sample sites associated with past iron and crucible steel production. The team comprised staff, students and researchers from Exeter; the National Institute of Advanced Studies, Bangalore; Central and Osmania Universities in Hyderabad and the National Degree College of Dharmapuri. Even with excellent local support, fieldwork in this remote part of India is challenging and has to be well-planned. The methods followed can best be described as reconnaissance-style, visiting known locations and making detailed narrative field notes supported by GPS tracking and location points. Alongside the archaeological survey of surface evidence we also conducted an ethno-metallurgical survey, recording interviews with local blacksmiths and recording their workspaces and working practices. A total of 245 locations of interest were recorded, of which 183 relate directly to past iron and steel production. An interim report describing the survey has been published. In 2013 I returned once more to Sri Lanka to conduct a further series of experimental smelts at Samanalawewa. On this occasion the aim was to demonstrate the technology for Sri Lankan engineers, metallurgists and technologists. While the experiments were conducted with the same approach as earlier campaigns, using locally available materials and adhering closely to the archaeological evidence, it was an exciting departure to be conducting fieldwork for a non-archaeological audience. The campaign was initiated by the Institution of Engineers Sri Lanka (IESL) and generously sponsored by Colombo Dockyard Plc, Sri Lanka’s largest heavy engineering company. After more than 20 years of research into the wind-powered iron smelting furnaces of 1st millennium AD Sri Lanka the work has reached a wide national and international audience. In the summer of 2013 a third series of smelting experiments were conducted in the field in Sri Lanka. This time the work was initiated and sponsored by the engineering community of Sri Lanka. The success of the work lead to a submission to the Exeter Impact Awards in the category of outstanding public engagement (http://www.exeter.ac.uk/impactawards/shortlist/publicengagement/ ). Here is the text of our submission. Sri Lanka, famous for some of the world’s oldest and largest Buddhist monuments, is also home to one of the most novel and sophisticated early iron and steel production technologies recorded. Discoveries made by Gill Juleff, first published in Nature (1996, 379), underpin continuing research (World Archaeology, 2009) and widespread public dissemination of ‘Monsoon Steel’ in a country emerging from civil war and competing in the rapidly developing Asian sphere. The research described here has matured over two decades and through public engagement its impact now extends far beyond archaeology. Monsoon Steel began as an impact survey of an area due for inundation by a hydro-electric scheme. Subsequent archaeological excavation evidenced a large-scale iron and steel smelting industry of the first millennium AD using a technology that harnessed monsoon winds to power furnaces the design of which departed radically from known examples across the world. Experiments in reconstructed furnaces established the veracity of the data and led to a paradigm shift in archaeometallurgy. Following the initial fanfare of publicity, dissemination within Sri Lanka gathered momentum. In 2007, Exeter’s Annual Fund supported a second series of field experiments. Open to the public, these were widely covered on national television and in the press, with public lectures at the British Council, Royal Asiatic Society and the principle universities. In 2008, with joint support from the Annual Fund and the Martin Wickremasinghe Trust, the first permanent furnace replica and display was constructed at the popular Koggala Folk Museum which has the highest attendance figures in Sri Lanka with coach-loads of school children visiting daily. In addition, a senior member of the museum’s trust popularised the Monsoon Steel story in a children’s comic book, published in the three official languages, Sinhala, Tamil and English. More specific impact is seen in the partnership developed with Sri Lanka’s professional engineering institution (IESL; http://www.iesl.lk/). Through its newsletter, circulating to over 10,000 members, editors have used Monsoon Steel to invigorate a dialogue on indigenous development. The wind-powered furnaces were included in the IESL centenary publication on the History of Engineering and the Sri Lankan Government’s Sustainable Energy Authority’s Energy Balance of 2010 opens its 75-page analysis of energy sector performance with an introduction drawing on the use of monsoon winds to smelt iron as evidence of the potential for power generation (http://www.energy.gov.lk/pdf/Energy_Balance_2010.pdf). In June this year the National Museum, Colombo, in collaboration with IESL, opened a new permanent gallery dedicated to Ancient Technology showcasing five major engineering achievements, including Monsoon Steel, with a replica furnace and animated explanatory video created by the Open University of Sri Lanka (http://www.htv.lk/). In July IESL members instigated a further campaign of experimental smelts sponsored by Colombo Dockyard Plc, Sri Lanka’s largest heavy engineering company (with 2% of the island’s exports). Personally led by CEO Mangala Yapa, the project saw collaboration with CEB (Ceylon Electricity Board), IESL, Gill Juleff and members of the original archaeological team. The three smelts conducted were attended by over 100 industrialists, metallurgists, environmental engineers, academics, students and the media. Continuing television and press coverage is largely in Sinhala thus not accessible to English speakers but bears testament to the grassroots reach of the research within Sri Lanka. At the time of submission the Standing Committee on Postgraduate Studies and Research of the University Grants Commission of Sri Lanka has opened discussions, facilitated by Mangala Yapa, on a project to reproduce an inexpensive student copy of ‘Early Iron and Steel in Sri Lanka’, which describes the research. I am a council member of the Historical Metallurgy Society and was their National Chair between 2001-03. I am a permanent member of the Commonwealth Scholarship Commission panel of Academic Advisors. My work in Sri Lanka and India has been widely covered in the local media in both countries and in both print and television. Here are some links to recent newspaper articles and videos in Sri Lanka. During a recent trip to Japan I was interviewed by Chinese state television for a documentary they are producing with Professor Jianjun Mei of the University of Science and Technology Beijing as presenter. My teaching is largely inspired by my own engagement in archaeology for three decades. This may mean it is related to my own research or background knowledge of the archaeology of Asia, archaeometallurgy and experimental archaeology, or it may draw on encounters, observations and experiences, both expected and unexpected, over the years. In this way I try to bring a little adventure and inspiration to my teaching. In the classroom I enjoy using novel teaching methods and students may find themselves making medieval 'Dragon's Den' type pitches for investment in new ventures in the metals exploration business or unravelling a Roman incident scene. On a serious note, I encourage students to bring scientific rigour and consistency to their work by distinguishing between methods used, data gathered and the analysis and interpretation of data. I especially enjoy the continuity between classroom and fieldwork, and always feel that I gain, as well as students, when we are able to work together in the field. I have taken student teams to work on Exmoor, to Sri Lanka and to India. In 2012 I was shortlisted for a University award in Research Inspired Teaching. Gill has almost thirty years of experience working in archaeology in Britain and Asia. Gill gained a BSc (Hons) in Archaeological Conservation and Materials Science from the Institute of Archaeology, London University (now UCL). From London she moved to Bristol to become English Heritage’s first Archaeological Conservator for Southwest England. In 1984 Gill became the head of artifact conservation for the UNESCO/Sri Lanka Cultural Triangle project in Sri Lanka. In that post she was also coordinator of the conservation of cultural property course of the Postgraduate Institute of Archaeology, Colombo. From 1986 to 1990 Gill was also coordinator of an ODA/British High Commission/British Council/Cultural Triangle Heritage Management project which supported archaeological heritage management in Sri Lanka with £350k. 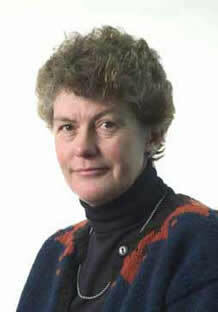 In 1988 Gill began her PhD research at UCL, supervised by Dr Nigel Seeley and Dr Ian Glover. Her topic was the ‘Early Iron and Steel of Sri Lanka: a study of the Samanalawewa Area’ and involved extensive fieldwork in the southern foothills of the central highlands of the island. The field project she began at a location destined to be inundated by a hydro-electric scheme developed into a major project, the Samanalawewa Archaeological Project, funded by Balfour Beatty, ODA and the British High Commission (total funding £90k), which she directed until 1996 when the first results were published on the front cover of the journal Nature. Gill’s return to the UK in 1996 coincided with maternity leave followed by a period as a Field Monument Warden for English Heritage and a freelance consultant in archaeology and archaeometallurgy. In 2001 Gill became a part-time research fellow at Exeter directing the English Heritage-funded Exmoor Iron project (funding £178k). In 2005 Gill became a teaching fellow at Exeter and in 2007 a lecturer, and in 2009 senior lecturer.